Barb has been selling real estate since 1992. She has lived in beautiful Van Buren County, Iowa all her life. She is a member of the Keosauqua Rotary Club and on the Keosauqua Chamber Board and a past city council member. 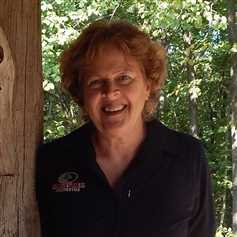 Barb is also a member of the Van Buren County Trails Association. She enjoys walking and biking in her spare time. Barb and her husband Jim, also a broker with MOP Boley Real Estate, have been married for over 40 years. They have 2 sons. Nick and Tyler, both are also real estate brokers with MOP Boley Real Estate. Barb is licensed in Iowa and has the following designations, GRI (Graduate Realtor Institute), CLS (Certified Land Specialist) and CRS (Certified Residential Specialist).